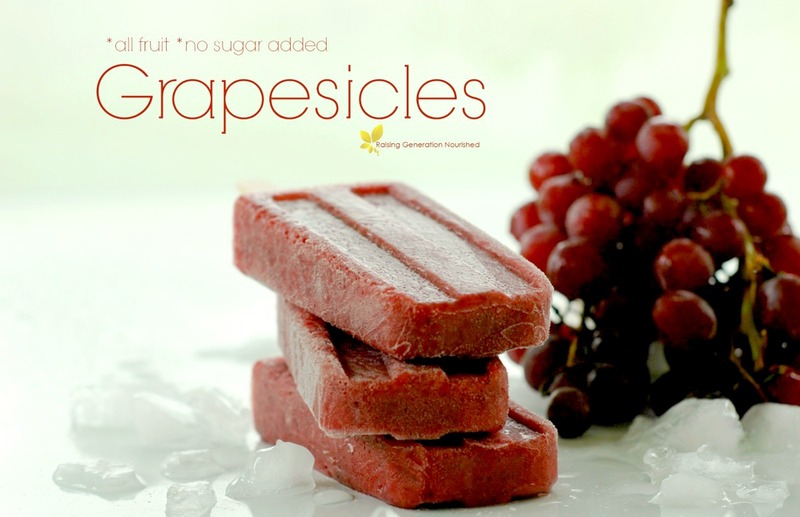 Real Food *All Fruit* Grapesicles! 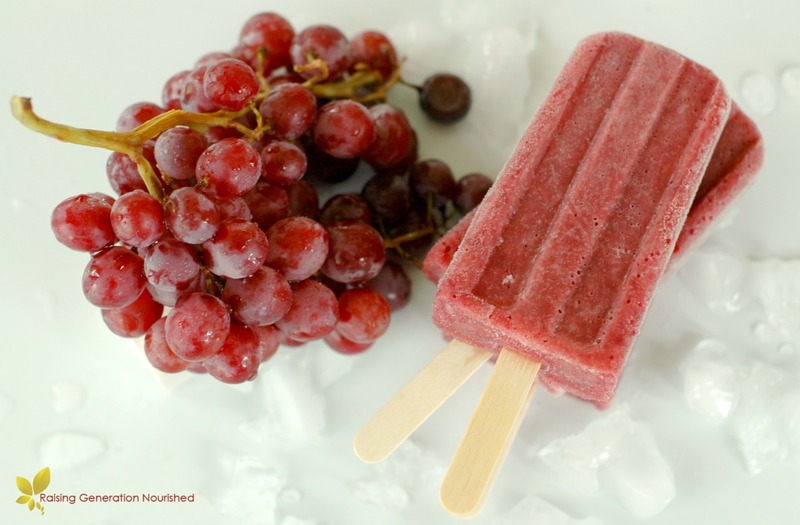 That favorite summertime popsicle flavor with a real food (all fruit!) makeover! 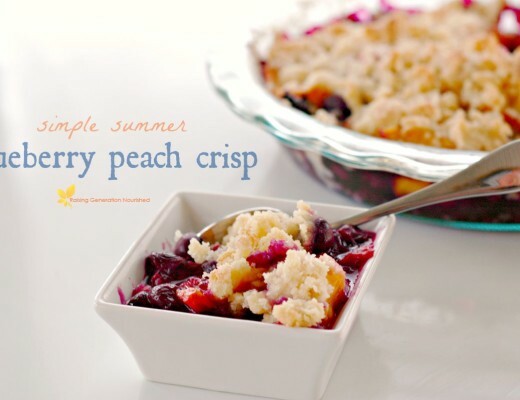 No corn syrup or dyes here! And the flavor is amazing! I distinctly remember it. The box of popsicles would come out and I would somehow manage to talk my little sister into any other color besides the purple ones. 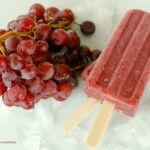 The grapesicles were my all time favorite…and like any kid in a family of 5, I had to make sure there was enough me! I definitely had the art of manipulation mastered at a young age. Fast forward to a couple weeks ago. We had just spent the last week or so munching on a load of strawberries from our summer picking, and as I was cleaning out the fridge there it sat. That lonely little bag of grapes was totally forgotten about that week because we had so many in season strawberries to eat! These grapes were getting just soft enough that they wouldn’t be great to eat on their own, but I hate waste – especially these grapes that I just love! 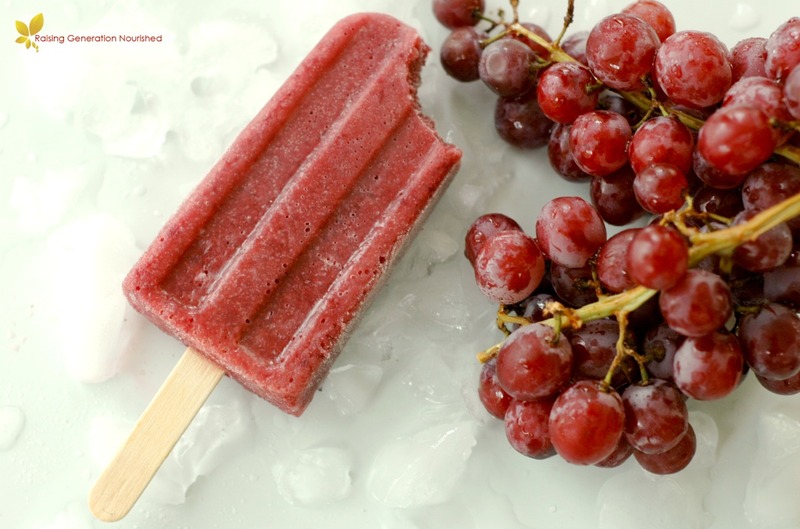 My first thought was smoothie, but I had a flashback to when I was a kid…could it really be as simple as blending up a bunch of grapes and I could have my favorite popsicle again?! Turns out it really was that easy! And these were SO good! And this is as easy as it gets friends. No crazy corn syrups or dyes – this is the real deal. And look at the color! 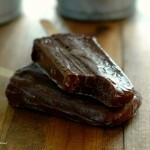 My top popsicle mold picks! If you have tiny hands around the house, I highly recommend these smaller popsicle molds with easy grip handles . 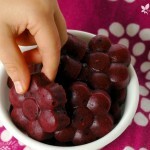 My toddler loves them, they are the perfect sized portions, and the handles are easy to hold for little hands. I also love my 10-pop popsicle mold . No plastic sticks to keep track of and wash, and I can stash away a load of them at a time so I don’t have to make popsicles every week. Optional water to thin I didn't use water but wish I had - they were almost too sweet for me being so concentrated. 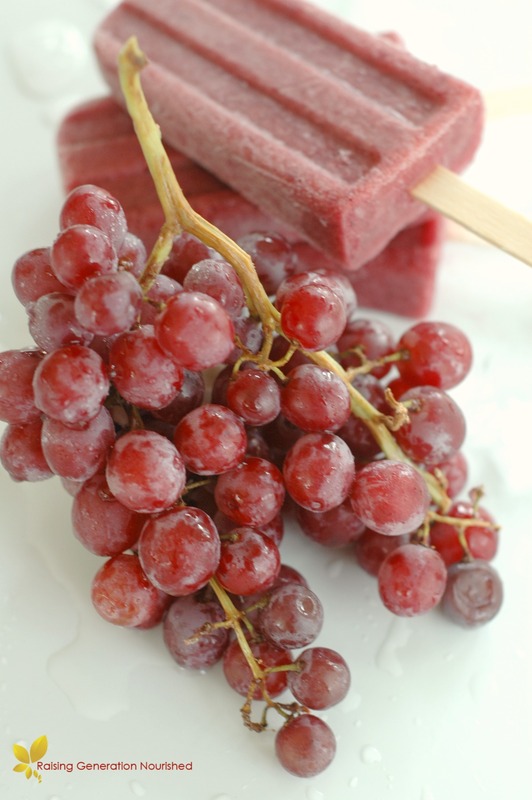 Taste the grape puree and see what you think - if your kids are used to popsicles from a store you might just leave them be! 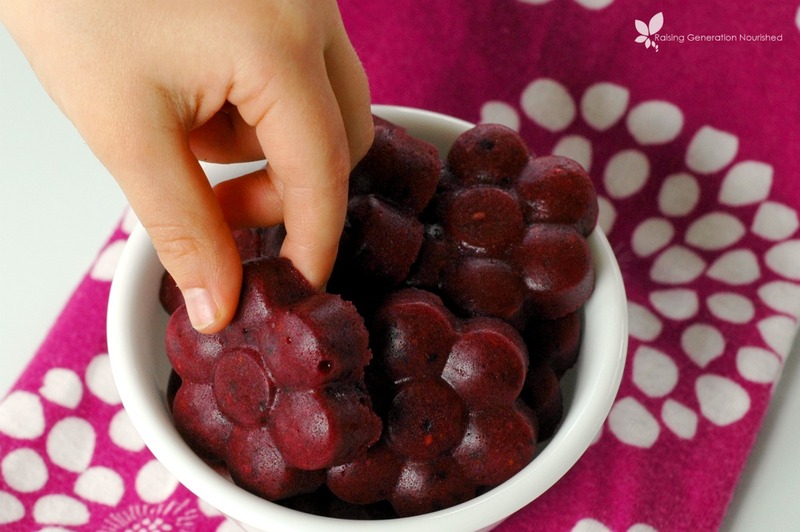 Puree the grapes in your blender. My high powered blender took care of the skins, but if you are using something other than a high powered blender you can either leave the bits of skin or strain them out. 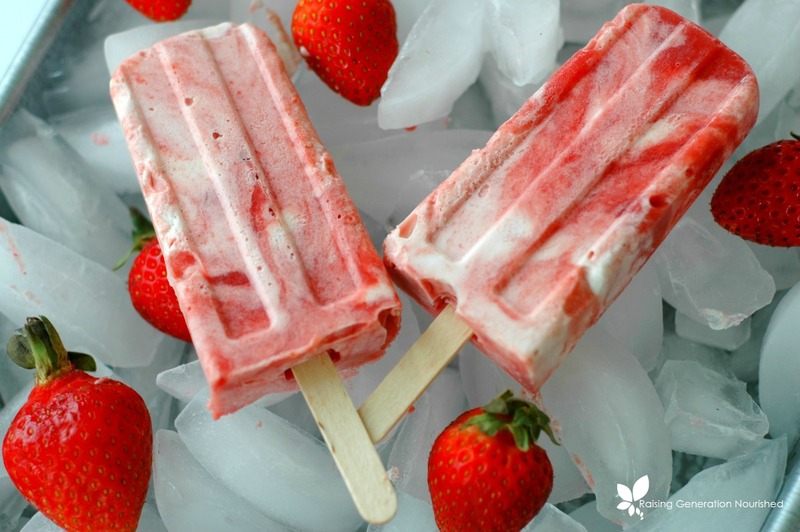 Freeze in your popsicle molds. I love my 10-pop popsicle mold for making a load at a time. I take them out after they freeze, wrap them up, and tuck them away in the freezer so the girls can self serve. 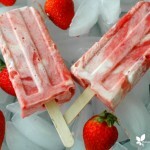 For more real food treat ideas, check out my Treat Ideas board on Pintrest! 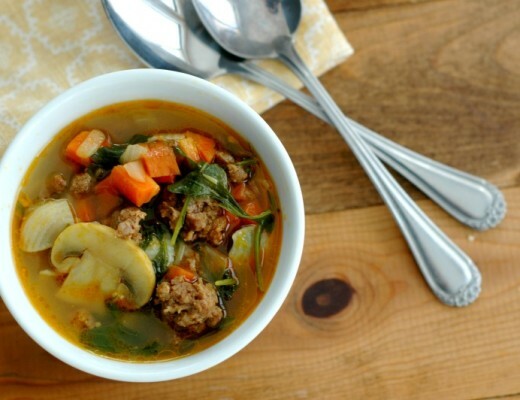 Instant Pot Tomato Soup Tutorial :: Picture Tutorial and Lunch Packing Tips Included! I can’t wait until I get new molds..the boys will love this. They love grapes. Perfect. We have been doing a lot of popsicles lately. It’s like obligitory in Summer! 🙂 What a great idea this is! I think I will try to thin them with a little bit of kombucha instead of water. Get a little good bacteria snuck in there! HOW FUN!!! How wonderful. One ingredient! I love it. Yum! 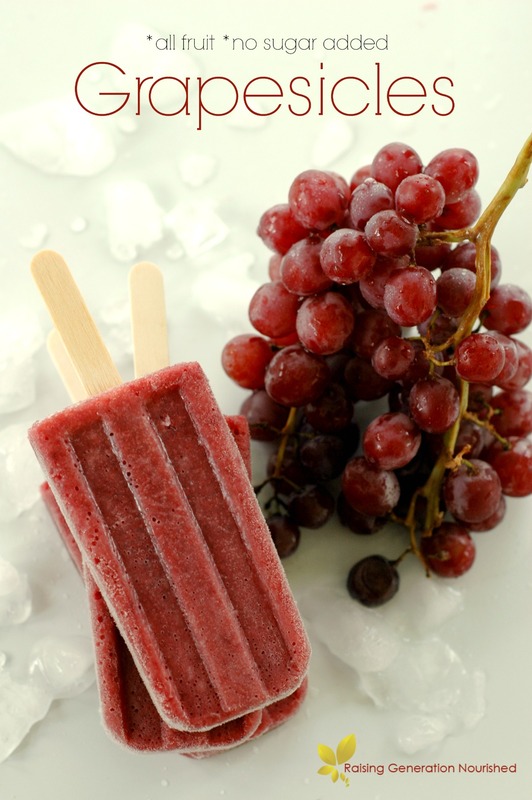 Grape is one of my favorite flavors too 🙂 These look really refreshing and so easy! Will have to try them. Organic grapes were on sale this week! 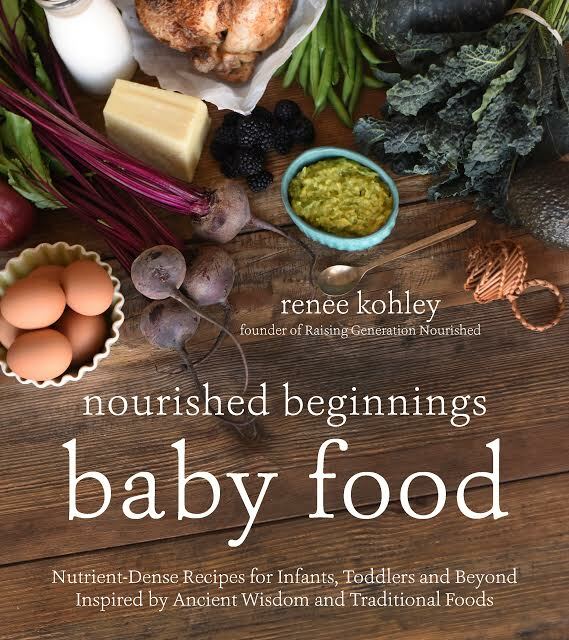 Can’t wait to try this recipe. 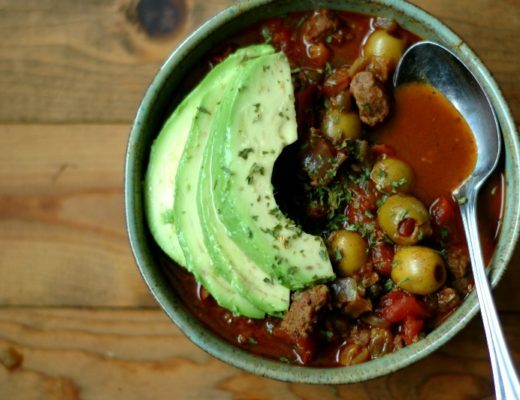 I love simple recipes! 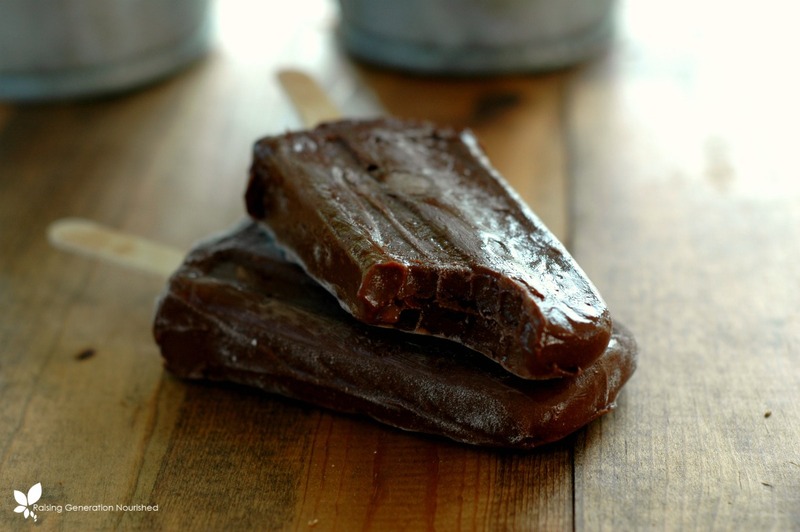 1 ingredient popsicles– so cool!!!! Love it! 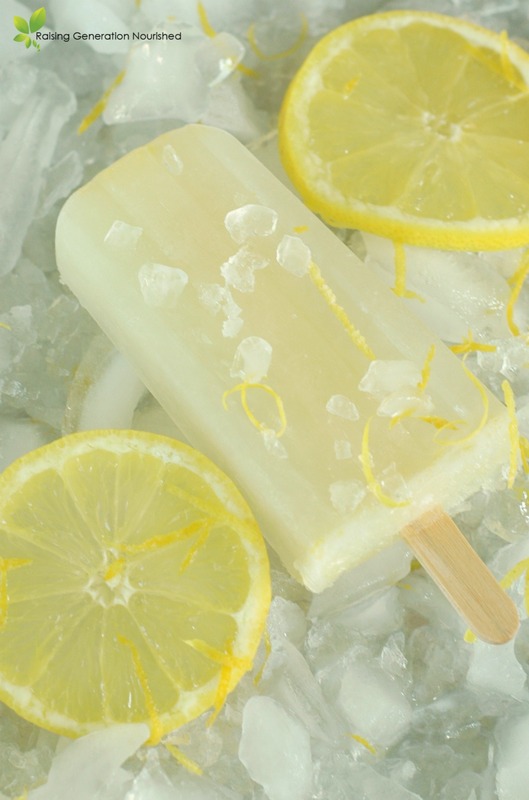 So simple and refreshing on a hot day! 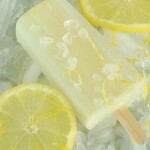 Looking so frosty and yum on a hot day!